The bull market turned six years old earlier this month. How much of a concern is the market’s age and it’s more than 200% advance? In a rare interview, Artisan International and Global Funds’ Great Investor, Mark Yockey explains why he is still finding plenty of opportunities in the market and why the rising dollar is a financial game changer for many companies. My favorite Janet Yellen line this week came during the press conference after the central bank’s two day policy meeting. She said: “Just because we removed the word patient from the statement doesn’t mean we are going to be impatient.” The Fed seems in no rush to raise interest rates. My sources are betting against a June hike and for one in September. No matter when they start, the Fed will be extremely cautious about the degree and frequency of them. We all know the bull market turned six years old earlier this month and despite endless warnings of its imminent demise along the way, it continued to climb that proverbial wall of worry. We’ve come a long way. The excellent research team at Strategas Research Partners shared some figures that illustrate just how far. Yes, the S&P 500 has tripled since it hit its bottom of 676.53 in March of 2009, but what does that mean in actual dollar terms? The market capitalization of the S&P 500 has risen from $5.9 trillion to over $18 trillion. The average price of a stock has risen from about $24 to $85 dollars a share. According to Strategas, those share prices reflect much higher profitability. Operating earnings per share have more than doubled from $49.51 to nearly $113. The obvious downside to this wealth expansion is that the market has gotten much more expensive. At the 2009 bottom the S&P’s price/earnings multiple, on trailing 12 month earnings was just under 14. That P/E is now around 18 times. And the dividend yield on the S&P, which was close to 4% six years ago has fallen to around 2%. How much of a concern is the market’s age and the size of its advance? This week we have a rare interview with great investor Mark Yockey, Portfolio Manager of the Global Equity team at Artisan Partners. Yockey is known for his patient, contrarian approach and outstanding long-term performance. Among his responsibilities,he oversees the flagship Artisan International fund, which he launched in 1995 and for which he was named Morningstar’s International Stock Fund Manager of the Year in 1998 and a finalist in 2012. Yockey also runs the highly regarded Artisan International Small Cap fund, launched in 2001, and the younger Artisan Global Equity fund started in 2010, which has earned a five star rating from Morningstar. The most recent addition to his mutual fund portfolio is the Artisan Global Small Cap fund started in 2013. 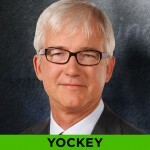 Yockey says he is still finding plenty of opportunities in the U.S. and international markets and he will discuss a number of them. HOW TO GET AN APPRAISAL? Morningstar International Stock Fund Manager of the Year winner, Artisan International Fund’s Mark Yockey, discusses his contrarian picks and how he is finding sustainable growth in Japanese tobacco and automobile companies, Chinese internet and insurance firms, and global beer companies. Artisan Partners’ noted international investor, Mark Yockey is a huge admirer of Winston Churchill and has read volumes of the legendary British Prime Minister’s histories, autobiographies and biographies. We asked him what he admired most about Churchill, arguably the greatest leader of the twentieth century.